In which G.M. Norton potters about with his new bag. A lovely lady from Scaramanga sent me an electronic telegram to ask if I would be interested in one of their leather bags. Seeing it as my duty to review one for you, I agreed without hesitation. You need to be assured of their quality, after all. Sharing a name with my favourite ever Bond villain, played with style by the recently departed Christopher Lee, Scaramanga are a Scottish enterprise, based in Fife. They have quite the range of bags available including traditional school-type satchels, flight bags and holdalls. In which G.M. 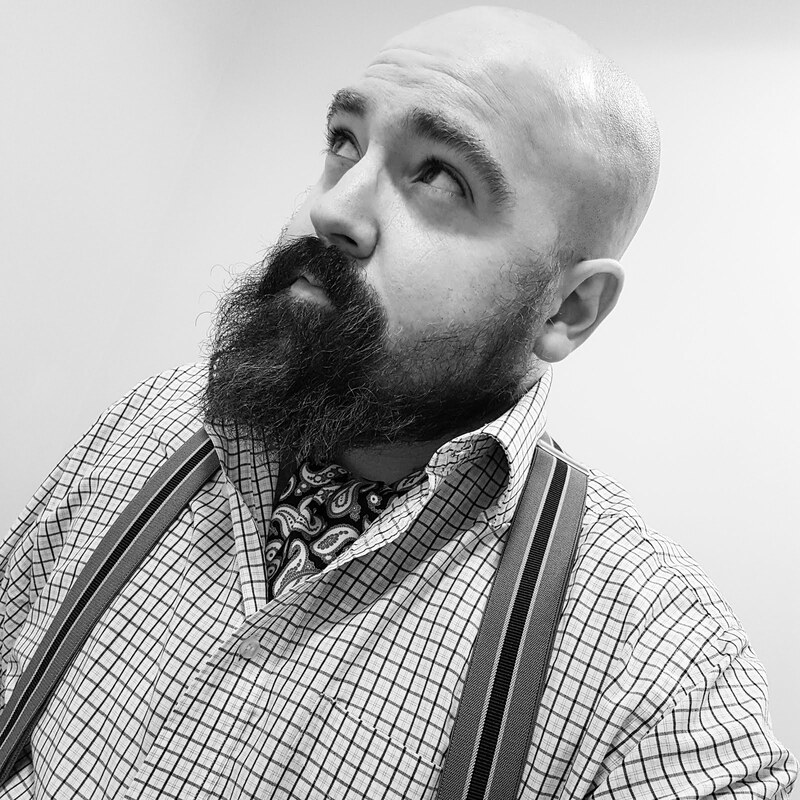 Norton tests out new beard tamers from The Bluebeards Revenge. 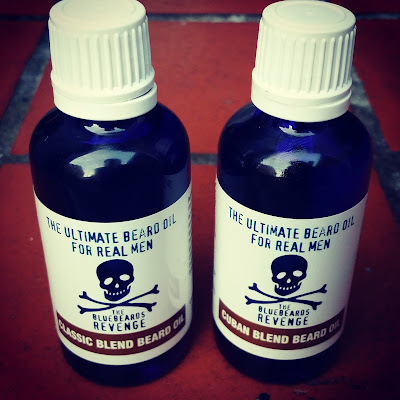 Cottoning on to the popularity of beards adorned on the faces of practically every man, woman and child (okay, just men), my chums at The Bluebeards Revenge have produced two beard oils. The first is the 'Classic Blend Beard Oil', which features their signature masculine scent. The second is their 'Cuban Blend Beard Oil', inspired by aromas of the Caribbean. In which G.M. Norton officially becomes the well groomed man about town. 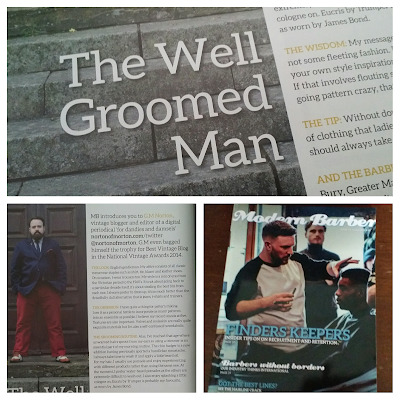 Your humble correspondent was recently approached by Modern Barber Magazine, to be the subject of their regular feature, 'The Well Groomed Man'. 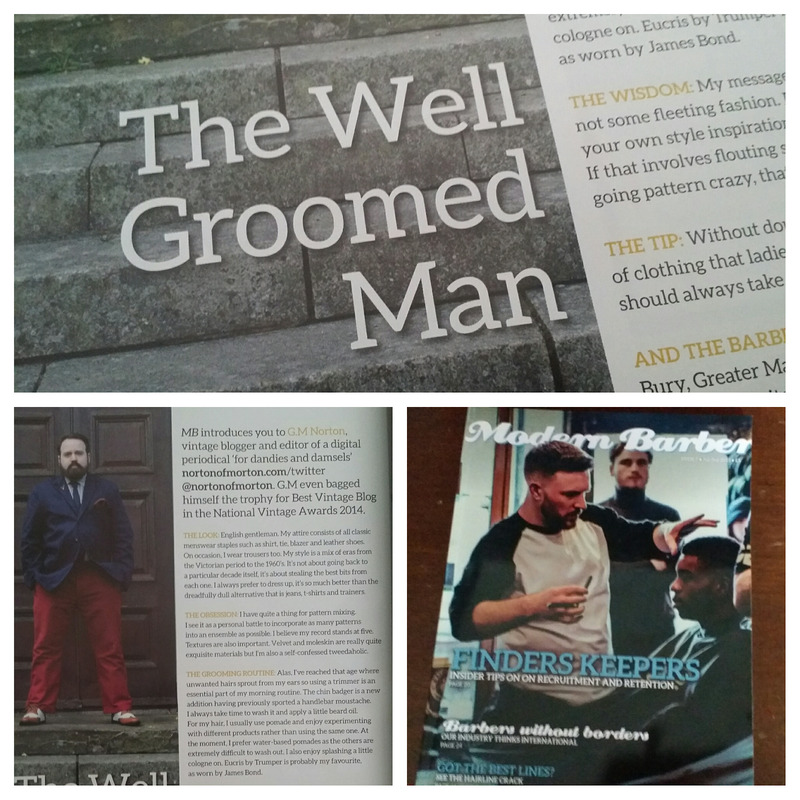 Their summer issue containing my fizzog is now out in all good barbershops. I must confess, I was both taken aback and thrilled in equal measure that little old me could be considered a 'Well Groomed Man'. Since beginning my journey to lead a gentlemanly existence, I've made an effort to look my best at all times. Now, I just don't feel right lounging around in casual attire.